Bargain amplifier hunters, look no further than Feliks Audio. I’ve tried to get my hands on this Elise for half the year of 2016 and I am saddened that it only arrived at the end of the year for me…when I could have spent it that time snuggled up with the Elise and enjoying it with a smile. Ah well, but can the Elise stand up to the barrage of excellent products that were released in 2016 on an objective level? Can this amp really be the titan many claim it to be? High quality…wait, I’ve not a clue what metal the chassis is made of. To the manual! Nope, no reference to what it is made of there. Hmm. Well, it’s really just a thick-cut of what seems to be aluminum used for everything on it that gives the entire unit serious heft, 4.6kg worth to be precise, as my weight and scale dictated. Literally, nobody on this Earth will tell you there is a lacking build quality here, at least not in a serious manner. 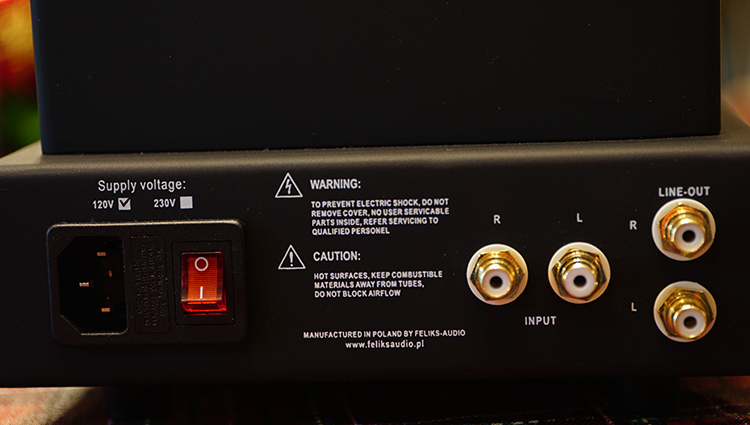 Not really questionable to me that Feliks Audio invests a lot of time and effort into making sure the exterior of their amps looks great and feels great, as it was a few months ago when I reviewed their cheaper model called the Espressivo. For $699, I’ve seen plastics and very thin aluminum chassis amplifiers offer far less quality in the sonic experience than this Elise, so I chalk this up to a vivid win in the build quality department for this Elise. 6AS7G [6N13S] are the standard accepted Power Tubes with variant possibilities extended to 6080, 5998, 6N5P, 6N5S, ECC230, 7236 and CV2523. The Driver tube standard accepted are 6SN7 with accepted variants of 6N8S, CV181, ECC32, 5692 and 6F8G. 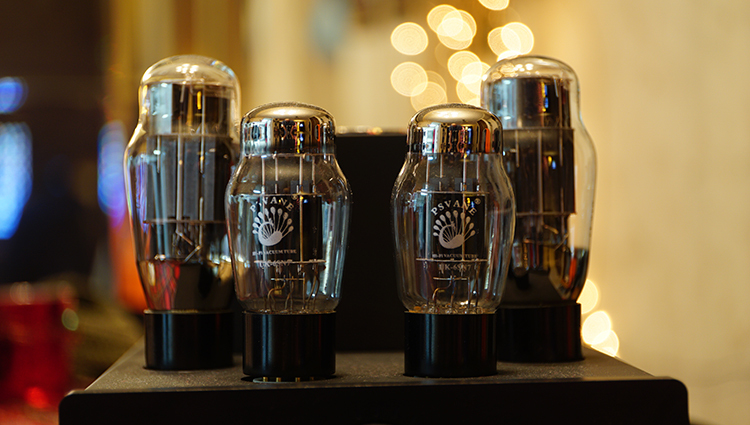 With that in mind, the stock tubes are still excellent sounding and come in a cool, Japanese box. We westerner’s like the Japanese Kanji look, so these boxes are front and center at all times, showcasing the tubes used in the amp when it is actively being used. Tube rolling can be expensive, so make sure you take the time to research each model and see if it matches your sonic preferences. Some are very colored, some are very neutral. Some intended for musicality, others intended for a clinical and accurate experience. Be careful, not all tubes are created equal from varying brands. 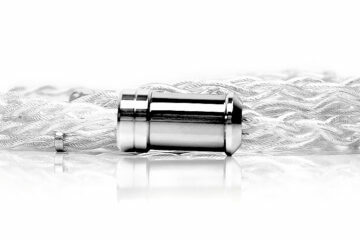 Feliks Audio even goes out of their way to tell you they want you to experience more tube sets during your journey with the Elise, so if you get the chance to tube roll, go for it! That was the entire basis for them making the Elise. On the stock tube set given to me, I would say the low-end experience I moderate in quantity, but more than moderate in quality for the price of the unit at $699. It is fine and I don’t have issues with moderate quantity. Clearly, Sony XB series lovers need to shop elsewhere. Anyone with very high-end headphones tuned for exceptional bass would need to upgrade to much better sounding tubes to justify said headphones. For middle tier users, this is overkill in quality, at least in my opinion. The $200-$899 or so range of headphones out there should be more than justified to be used with the Elise, of course. However, those with a prominent bass quantity experience should be opting for something else entirely, due solely to the fact the stock tubes on the Elise are not setup for vivid bass experiences. This is not a tonality or quality issue, it is a quantity issue. The quality is superb, but I would subjectively rule against using sets like the XB1000 from Sony, or really any bass-heavy headphone with the Elise’s stock setup. Quality is another story entirely, I find it pure enough to be used by my Grado GH1 and similar, more bass tamed headphones where quality superseded quantity. If your headphone has that setup, then go for it. The Elise, even in stock form, will max out your headphones potential in bass quality. I wouldn’t at all fret if you are a purist, you can get excellent tier quality out of it and I feel my $1900 Noble K10 custom monitors don’t really sound much different down below when using my $2000 Airst Audio Heron 5 solid state amp, then swapping to the Elise. Sure, texture and tonality changed, but I could not hear a quality drop off at all when switching between them. This is actually a great thing. I want customized sound, I want to make sure my setup is perfect for me and not stubbornly “the same” no matter what components I use elsewhere. This allows for a user customized sound based on what headphone and what source component plugs into the Elise. This is a rare thing, the last tube amp I reviewed that had this level of difference in the midrange, dependent on the source component, was the original Bottlehead Crack. Again, do not take that as a negative quality, as it really couldn’t be more positive. The Elise will play ball with your source, really no matter what it may be. From a portable to a very nice USB DAC, it doesn’t seem to matter. The Elise will let the source’s physical setup shine through. Anyone who buys a forward sounding source should know full well that forward sound will vanish when used with a V-shaped, mid recessed sounding amplifier as the last link in the chain. This way, thankfully, the Elise seems the wisest choice for tube amps that I’ve seen in a very long time…the reason why I hunted and hounded for one for review for neigh half of 2016. I would not call the Elise’s midrange lush, I’d call the Elise’s midrange on the stock tube setup more like a moderately clinical experience. There is a hefty drop-off, in terms of a weighted sound signature when swapping to my Heron 5, so there can be no doubt that this Elise is the more pure, more clinical sounding of the two. If you wanted a thicker, more weighted experience, I would opt for something else, perhaps a solid state instead. 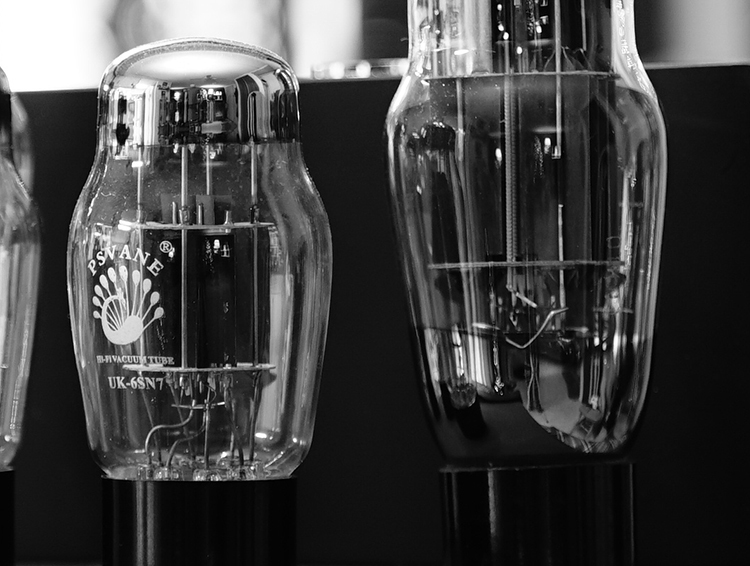 Or, at the very least, take a lot of time to researching very warm in tonality tube sets that are compatible with the Elise. That way, your Michael Buble’s and Sinatra albums will sound vivid, velvety and highly musical. If clinical appeal is more your style, the stock tube set may be the better choice for you, as I find it somewhere right in the middle of the road in physicality (the literal thickness, purity and speed factor of tone and texture) and something that I would recommend to a purist who wants a fantastic middle tier tube amp. When I booted up the track called Pop Thieves, I was in total awe of how deep and cavernous everything sounded. The decay factor or speed factor of the Elise is fantastic. I’d like to call it lightning fast with superb resonance depletion. What that means is that some amps and sources will let the cymbal ring out naturally, others will both sound and feel like it cut it off too quickly, or too slowly and let it ring out too long. This is called exaggeration in tone, in other words. The Elise has almost none of this up top. Quality is stellar, of course. I consider my Heron 5 very reserved by comparison. There is certainly more treble on the Elise, yet an upper end also that feels expansive and lighter on the ear, less dense and in turn less precise. You may find that statement oddball in nature, I’d agree. It makes little sense until you hear it for yourselves. As an example for comparison, my Heron 5 solid state amp has a density factor that feels immensely weighted, focused and laser-like. However, the Heron 5 is also very musical and almost one note up top and with regard to the treble. It almost never changes, it always sounds that way no matter what I feed it. The Elise is a different beast, it feels thinner, that much is true and again I do consider it intended for purists. The Elise’s treble also feels less focused, less clean, but significantly more aired out and with the potential for more detail. For the price, the quality is punching above its own weight class, without a doubt. But, the focused potential in density factor is not there, not nearly as abundant as it is in something like a Schiit amp or my Heron 5. But that is a tone/texture factoid and not relevant to quality in general. When speaking of quality, I can’t recall a tube amp at this price that sounds that clean. The excellent sound stage of the Elise, the magnificent aired out factor is directly due to the immensely fluffy sounding treble. Where is this located and why is this happening in the audio frequency spectrum? Not a clue where it is exactly located, but there is a massive difference in air and space in depth of field when comparing this $699 Elise with my $2000 Heron 5, which is a sound stage mammoth itself as well. The depth of field is absurd on the Elise. Truly. It bests my Heron 5 and my Bifrost setup noticeably in this one area of staging properties but is actually a bit more constrained feeling in height and depth. Owners of the old Denon D2000 headphone should know what I am talking about here, as that headphone had a massive, cavern-cave like depth of field, but was lacking width and height staging element. The Elear feels setup the same way as my old Denon D2000. The Elise, combined with my Focal Elear, is sublime beyond words and a match made in audio heaven. The Elear’s properties mirror the Elise: good height and width, amazing depth of field, a bit clinical and closer to the middle of the road in terms of tonality and texture. That setup is end game depth of field and realism factor for dynamic driver headphone experiences, at least in my opinion. Sadly, I do not have an HD800 anymore, but I would assume that headphones incredible depth of field would also be accentuated by the stellar depth of field of the Elise. As mentioned, this amp is a chameleon and will alter its state of being if you roll the tubes. All I can say for sure is that the stock tube set sounds very quick and well into the realm of clinical with regard to bass and midrange coloration potential. This will change with different tube sets, so if you are into the clinical and pure sound, the stock tubes or any variants of them that are known for purists should be on your shopping lists. They can get expensive, so be prepped and ready for shelling out a few hundred for new tubes that are of a very high grade. Hell, I paid $499 for a set of 5998’s a few years ago. The only really important factoid here is that the stock tube sets for the Elise, that are provided in the $699 option, you’ll be receiving a more neutral/clinical appeal to the sound signature. This amp is clearly intended to wreck house on all mid-tier tube amps and it seems most of the audio community agrees. It has been a best buy product since it was released and the first wave of reviews bestowed upon us. I am going to have to agree with this. The Elise is a monster amplifier that is probably the best overall tube amp in the middle tier price range that I’ve ever heard. If you like a fast decay and a tone absent of excessive coloration, this is the amp for you. The Elise will play nice with sources and DAC’s alike, so I suggest you take the time to learn what your preferences are and what is achievable with tube rolling. That way, you can properly set up your rig and tailor it to your liking. 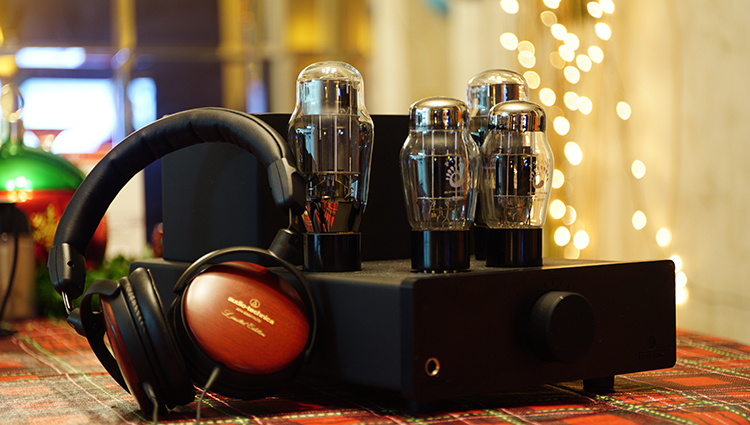 The matchability factor is off the charts good with the Elise, depending on new tube setups you are able to acquire. Focal Elear lovers, this is the one to pair with if you wanted a sub $999 tube amplifier. The Elear + Elise combo was magnificent, as both products accentuated the other to form one of the deepest feeling sound stage experiences I’ve had in a very long time. Feliks Audio can do no wrong, they are 2 for 2 now. I can’t wait to hear their higher end model in the near future. If it is anything like this Elise in quality to price ratio, I’m in for a real treat. Time will tell. For now, great job guys and gals at Feliks Audio! The Elise is my pick for the undisputed best tube amp sub $999 that I’ve ever heard. Any idea how this compares to the La Figaro 339? Pairing with HD650s and HD800s. 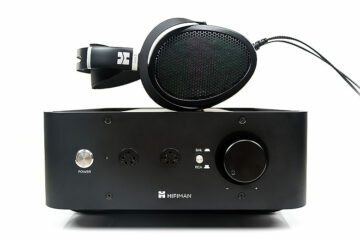 I’m looking for an amp to power my HD 800S. I’m thinking of getting the Mainline by Bottlehead. Have you heard this and how does this amp compare? Prices went up quite recently when some of Elise’s electronics were up-graded. Where do you get the prices from? The Elise and the Espressivo cost remarkable more than you stated in your reviews. The Elise is listet at $849+$40-60 shipping costs and the Espressivo costs $449+$40-60.